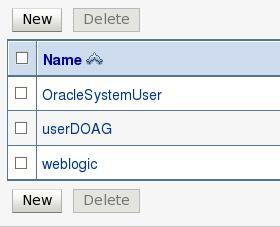 WebLogic Server supports the Java SE and Java EE Security to protect the resources of whole system. The resources could be Web applications, Uniform Resource Locator (URL), Enterprise JavaBeans (EJBs), and Connector components. Java uses APIs to access security features and functionality and its architecture contains a large set of application programming interfaces (APIs), tools, and implementations of commonly-used security algorithms, and protocols. This delivers the developer a complete security framework for writing applications and enables them to extend the platform with new security mechanisms. 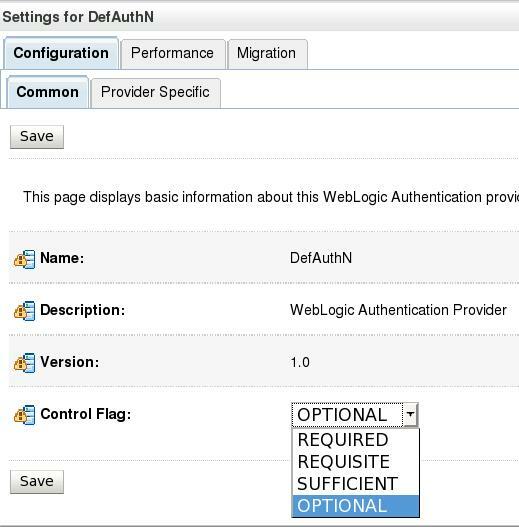 WebLogic Server uses the Java Authentication and Authorization Service (JAAS) classes to consistently and securely authenticate to the client. JAAS is a part of Java SE Security APIs and a set of Java packages that enable services to authenticate and enforce access controls upon users and /or fat-client authentication for applications, applets, Enterprise JavaBeans (EJB), or servlets. JAAS uses a Pluggable Authentication Module (PAM) framework, and permits the use of new or updated authentication technologies without requiring modifications to the application. Therefore, only developers of custom Authentication providers and developers of remote fat client applications need to be involved with JAAS directly. Users of thin clients or developers of within-container fat client applications do not require the direct use or knowledge of JAAS. 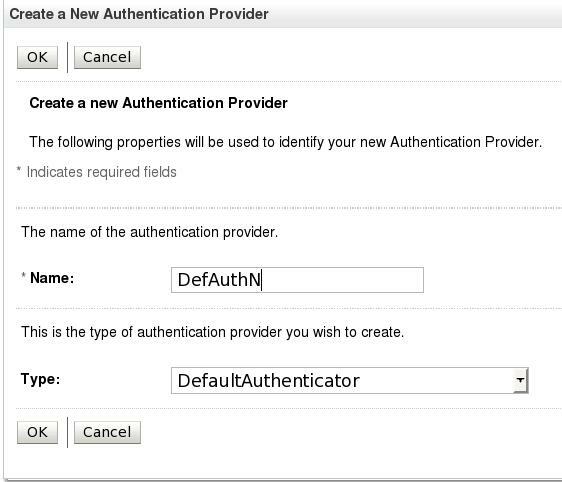 In this use case, we select type: “WebLogic Authentication Provider” and give a name e.g. “DefAuthN”, then “OK”. 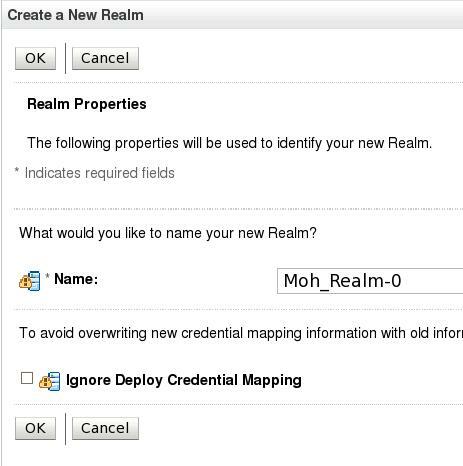 The WebLogic Authentication provider is configured in the default security realm (myrealm). 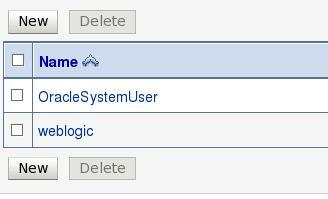 The WebLogic Authentication provider allows you to edit, list, and manage users, groups, and group membership. User and group information is stored in the embedded LDAP server. It shows, that we can use security provider in different gatherings und expand our security realm with additional user, groups, and security providers. We are working on it in next part of this article. REQUIRED – This LoginModule must succeed. Even if it fails, authentication proceeds down the list of LoginModules for the configured Authentication providers. This setting is the default. REQUISITE – This LoginModule must succeed. If other Authentication providers are configured and this LoginModule succeeds, authentication proceeds down the list of LoginModules. Otherwise, return control to the application. OPTIONAL – The user is allowed to pass or fail the authentication test of these Authentication providers. However, if all Authentication providers configured in a security realm have the JAAS Control Flag set to OPTIONAL, the user must pass the authentication test of one of the configured providers.